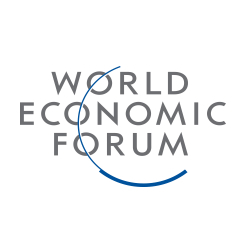 In the latest edition of the World Economic Forum (WEF) Global Competitiveness Report 2014-2015, Tanzania ranked 121st out of 144 countries, compared to 125th last year. Tanzania is ranked 17th out of 33 Sub-Saharan African economies covered in the report, compared to 18th out of 35 last year. Although the report highlights the country’s difficult inflation framework, it also points out that Tanzania has managed to bring back inflation to single digits this year. In fact, annual inflation in Tanzania was relatively stable at around 6.4 % in August 2014. The report highlights Sub-Saharan Africa’s persistence in growth amid the economic downturn the rest of the World suffered in recent years, registering “impressive growth rates of close to 5% in 2013 – with rising projections for the next two years – below only emerging and developing Asia”. In 2013, the Tanzania GDP was USD 33.23 billion, growing by 7.0% from 2012 to 2013. WEF ranks each country’s competitiveness using 12 factors: Institutions, infrastructure, macroeconomic environment, health and primary education, higher education and training, goods market efficiency, labor market efficiency, financial market development, technological readiness, market size, as well as business sophistication and innovation.